Our Travel and Tourism students attended a careers fair where they had the opportunity to speak to industry professionals including inspiring alumni. Students at the college received expert career advice and guidance on job opportunities, interviews, employers’ criteria and requirements. Guest speakers included personnel from Jet2, Servisair, Southdowns Holiday Centre, Thomson, Thomas Cook, Virgin and First Choice. This was a great opportunity for students to find out about careers in the Travel and Tourism industry. 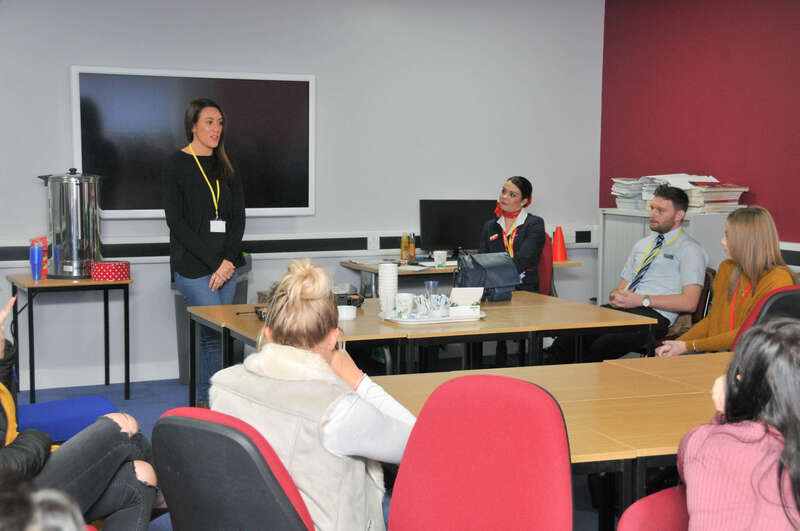 Luke Yates, Travel Advisor, a former Barnsley College Travel and Tourism student, said: “It was great to go back to college and speak to the Travel and Tourism students. For me, this is where it all started. I always knew that I wanted to work in the travel industry and the knowledge I gained whilst at college helped me to secure my dream job!